Good day Disney fans! I've taken my kids to a few Disney on Ice and they are always spectacular. I love giving my kids experiences and time. And Disney on Ice is a fabulous way to do that. I have good news. Disney on Ice presents Dare to Dream is coming to the Rogers Centre and I have some tickets to giveaway! Normally I would have four tickets for my personal use and four tickets to give to a lucky reader, but we won't be using our personal ones this time around. I asked if I could give away TWO sets of FOUR tickets - and Feld Entertainment said yes! 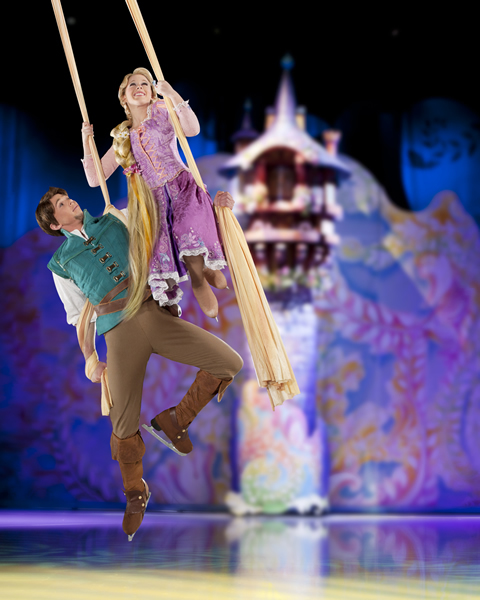 So, two lucky readers will get to go to Disney on Ice presents Dare to Dream. Yay! 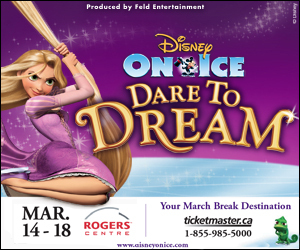 Disney on Ice presents Dare to Dream will be at the Rogers Centre from March 14-18 and you can get tickets here. And here's a code for you to use: MAMA gets you 4 tickets for $44 (Mon.—Thurs.) or $4 off (Fri—Sun.). Restrictions: EXCLUDES Front Row, VIP, and Rinkside tickets / no double discounts. All you have to do to enter to win four tickets to either the March 16th or 17th 7pm performance (your choice), just leave a comment below. And you can comment once a day. Contest will close Friday, March 9 at 10pm and winners will be chosen using random.org and announced/contacted before the weekend is over. And here is a link to a colouring page for your kiddos.